The fixed-rate mortgage price war seems to have escalated in recent weeks, with many lenders battling to provide consumers with tempting products at record low rates. For example, details have landed on my desk this week offering my clients Trackers with no penalties from 1.29% and five-year fixed from 2.24%. You may recall that I wrote recently about the lowest ever 10-year fixed rate deal on offer by Woolwich, as well as tempting two-year fixed products from Barclays, so with the influx of new offers, now really is the perfect time to talk to me about securing a new mortgage or re-mortgage. Remember, at FPG, we can secure you a new mortgage deal six months in advance, so even if you are tied in to your current mortgage for the next few months, or want to ensure you take advantage of one of the current bargains now, just in case rates rise, you should give me a call today. 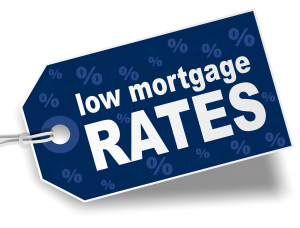 When you consider how dire Building Society savings rates are currently, investing in property remains a serious alternative consideration for many, so news that Buy To Let mortgage rates are also falling will be welcomed. Fixed-rates on Buy To Let deals have dropped from 5.03% since February 2012 to 3.82%, while the average variable rate is now at 3.63% compared to 4.46% in February 2012 and many commentators feel that Buy To Let mortgage applications are likely to increase even further once the rules relaxing the drawdown of pension pots come into effect this April.